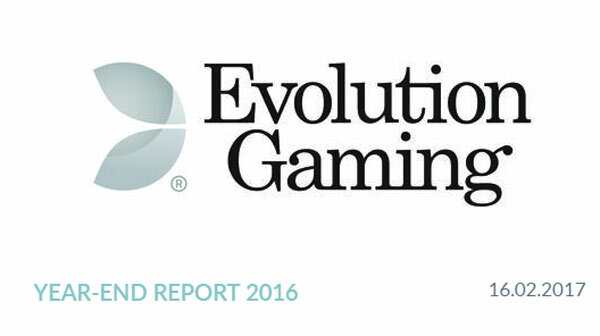 Evolution 2016 year end results - A bumper year for Evolution Gaming. 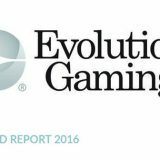 Evolution Gaming have released their end of year 2016 figures for the last quarter and the full year. 2016 was Evolutions 10th year in business and they are continuing to grow. Sales increased by 53 percent compared with the fourth quarter of 2015 and for the full year by 51%. 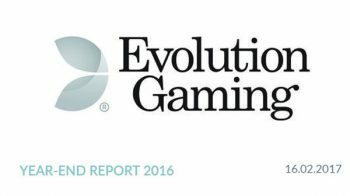 2016 marked Evolution Gaming’s 10th year in business and I am happy to report that we wrapped up a very successful year with a strong quarter. Sales increased by 53 percent compared with the fourth quarter of 2015. Adjusted for expenses related to the upcoming move to the main market, EBITDA amounted to EUR 13.4 million, corresponding to a margin of 39 percent and an increase of 44% compared to the fourth quarter of 2015. 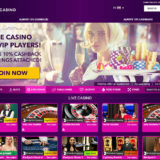 Live Casino continues to strengthen its position among operators as well as players. Our focus on the quality of the user experience, offering the broadest product portfolio for all devices and delivering a leading service to our customers are some of the factors behind our strong results in 2016. The year ended with continued solid demand for our services and a very high pace of delivery. The fourth quarter is also seasonally positive with a high level of activity from our customers. In addition to several new customers, existing customers are continuing to expand their offerings. This quarter, new dedicated environments were launched for 888, Virgin Games and bwin, among others. 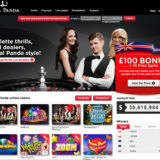 Existing customers are also choosing to expand into more markets where, for example, the aforementioned bwin launched its offering in Denmark during the quarter. We have also expanded further in our latest studio at Grand Casino Bucharest. Another growth driver is the heavy increase in mobile gaming – in the fourth quarter, almost half of the gaming revenues generated via Evolution’s platform derived from mobile devices. The equivalent number is above 50% among our largest customers. Extensive development is also taking place on the product side. The roll-out of Live Ultimate Texas Hold’em to operators is continuing. 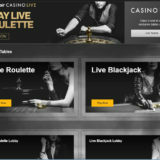 We have also launched another derivative of our world leading Live Baccarat product, Baccarat Control Squeeze, where the player is given even more opportunity to actively participate in the course of the game. After the end of the quarter, we have also launched an entirely new game, Dream Catcher, inspired by popular entertainment shows. It is the world’s first game in the Live Lucky Wheel category, which reinforces our position as the market’s prime innovator in the Live segment. At the publishing of this report, this year’s ICE, Europe’s largest gaming trade fair, has just been held. As a temperature gauge on the industry, I can report that this was the most intense exhibition to date, with a very large interest in our services. Apart from premiering the above-mentioned Dream Catcher, Dual Play Baccarat was also one of our main attractions. This is our second Dual Play game, further strengthening our offer to the land-based segment. 2017 will be an exciting year for Evolution. We will continue to work according to our strategy where product innovation, regulated markets and land-based solutions are key areas. In addition to our commercial focus, we are also preparing the company for a move to Nasdaq Stockholm in the second quarter of the year. Together with my colleagues, I want to thank you for the past year. We look forward to Evolution’s continued success with confidence.